Bahria Town Rawalpindi is a master planned community in Rawalpindi consisting of 9 phases. It is located at GT road and Islamabad expressway. 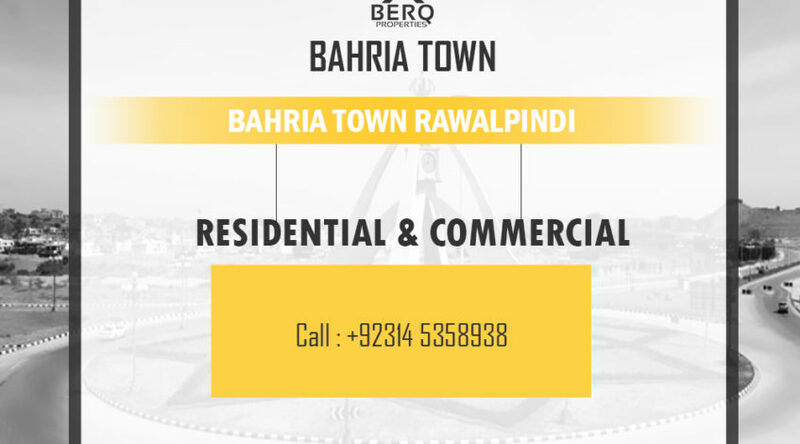 Bahria Town Rawalpindi is also near to DHA Islamabad housing society. It is accommodating nearly 1 million people. The Phase 1 to 6 is located near PWD housing society which is fully developed and it’s almost impossible to get a vacant residential plot. All houses and offices are only available on resale. The Phase 7 and 8 are adjacent to DHA Phase 1. It consists of numerous residential sectors and commercial areas. It is almost the double the size of Phase 1 to 6. The current focus of development of Bahria Town Rawalpindi is also in these phases. Safari Homes is a luxury residential homes located in master gated community with advanced security and other luxury facilities. Awami Villas comprises of low-cost villas and apartments. It is one of the cheapest projects in Bahria Town. The sector A to P are the sections of Bahria Town Phase 8 offering residential plots of all sizes. The Commercial Hub is located in Phase 8 in the center of Safari Valley. Also, Bahria Town Head Office is also situated here. Bahria Orchard is low-cost housing society scheme and it is almost sold out. It is the latest project of Bahria Town Rawalpindi. Bahria Town Phase 8 extension is also relatively one of the new projects. It is under development and progress is quite slow as compared to other phases. This phase is currently at halt. There is no developments or upcoming projects in this phase.